Israeli occupation authorities issued a military order to take over tens of dunums of land that belong to Palestinian people of the village of Nahhalin, near Bethlehem, for the benefit of building 70 new housing units for Jewish settlers, a local official told Palestinian official news agency WAFA. Deputy Head of the village's council Jamal Najajreh said that the land are filled with olive trees, and are estimated by tens of dunums (1 dumun = 100 square meters), located to the west of the village, close to the illegal Jewish settlement of Bitar Ellit. He added that this plan of building 70 housing units along with public buildings, as announced by the Israeli authorities, "aims to link the nearby illegal settlements Bitar Ellit and Jv'ot to each other, which will tighten the closure on the village and deprive a number of the village's families of their sources of living." Njajreh called on all institutions and humanitarian organizations in the world to intervene immediately to stop this "arbitrary decision, for it will cast a negative result on the village, and will make living in it more like living in a large prison surrounded by settlements." The Israeli occupation authority (IOA) continued its construction activities in Beit Haggai settlement built illegally on Palestinian lands south of Al-Khalil city. Eyewitnesses told the Palestinian information center (PIC) that the IOA resumed the expansion of the southern area and the western entrance of the settlement. 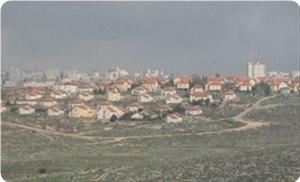 According to them, the IOA annexed more Palestinian lands to build new housing units to the south of the settlement. The western entrance of the settlement is also being expanded beyond its current borders, which means that more Palestinian lands have already been seized, the eyewitnesses added. 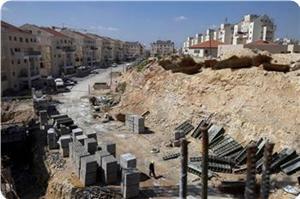 The IOA had sanctioned lately the construction of thousands of settlement housing units in the West Bank. One day before US President Barack Obama's visit to the occupied territories, Israel's new housing and construction minister Uri Ariel also stated that his government would continue expanding settlements in the Palestinian lands. The higher Islamic committee and the Awqaf and Islamic affairs council in occupied Jerusalem strongly denounced the Israeli police for allowing themselves to remove trees from the Aqsa Mosque's plazas last Thursday, describing what happened as an infringement on jurisdiction. "The plazas are an integral part of the holy Aqsa Mosque and the uprooting of trees the day before yesterday by the occupation police is unacceptable, reprehensible and an assault on the Aqsa Mosque," the higher committee the Awqaf council stated on Saturday. "The maintenance and Islamic waqf committee of the Aqsa Mosque is the one authorized to make repairs, plant trees and do other things without permission from the Israeli police which have no authority or jurisdiction over the management of the Aqsa Mosque," they emphasized. The higher committee and the Awqaf council also urged the Jordanian government to assume its religious responsibilities towards the Aqsa Mosque and intervene to stop the Israeli regime from violating its sanctity. Israeli occupation forces (IOF) bulldozed cultivated land lots in Hares village near Salfit city to prepare for building a military watchtower. Omar Samara, the head of the village’s municipal council, told Quds Press that the IOF bulldozers started working on Wednesday in the fields to the east of the village. He said that the soldiers built a fence of barbed wire around the targeted land, adding that they intend to monitor the main highway passing near that land. 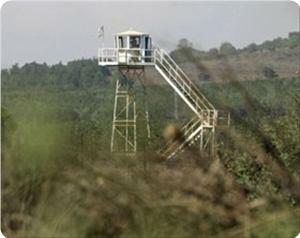 Samara said that the watchtower would also provide protection for passing Jewish settlers and army soldiers, expecting that the watchtower would negatively affect the work of Palestinian farmers who head to their fields near to that area. Israeli occupation forces (IOF) quelled a Palestinian demonstration in Al-Khalil city on Wednesday protesting US president Barack Obama’s visit. Eyewitnesses told the PIC that Jewish settlers joined the soldiers in quelling and dispersing the demonstrators in Shuhada street. Israeli forces Wednesday razed agricultural Palestinian-owned land south of the village of Yabod, near Jenin, for the expansion of a nearby Israeli military checkpoint, according to Palestinian security sources. They told WAFA that Israeli bulldozers razed land located adjacent to the Israeli settlement of Mabo Dotan, built illegally on village land, for the expansion of a military checkpoint which connects the village of Yabod and nearby areas to the governorates of Jenin of Tulkarm. Al-Aqsa Foundation for Endowment and Heritage revealed that the occupation authorities are allocating 10 million shekels (about 3 million dollars) to implement several Judaizing schemes and projects in Ma'amamullah cemetery in occupied city of Jerusalem. Al-Aqsa Foundation noted in a statement on Tuesday that the occupation intends to implement ten new schemes to complete the Judaization of the cemetery, noting that the Jerusalem Municipality is currently building a cafe in the west of the remaining cemetery. 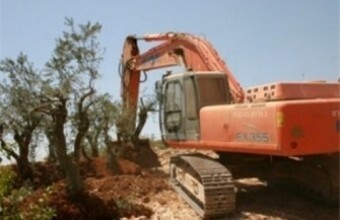 It stated that the occupation is planning to establish of a Jewish archaeological museum in the cemetery, and that the municipality has turned an area of ​​5 dunums in the southwestern part of the cemetery into a site for the machinery and heavy equipment belonging to the building contractors who are currently working on projects in the region. The foundation pointed out that the occupation authorities have confiscated the cemetery land and turned most of it into a public park. 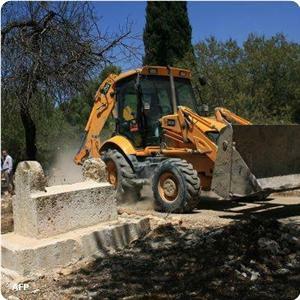 "After destroying and obliterating the cemetery and violating the sanctity of the dead buried there, the Israeli institution plans to implement several other projects that will destroy and Judaize the entire area of Ma'manullah cemetery", the Foundation added in its statement. It pointed out that there are plans to construct buildings for Magistrates' Court and District Court on another part of the historic cemetery, in addition to the establishment of a tourist center in the center of the cemetery. National and Islamic Jerusalemite leaders have organized on Sunday a protest against the continued Israeli escalation Jerusalem's Mamanullah cemetery, with the participation of Sheikh Raed Salah head of the Islamic movement in the Palestinian territories occupied in 1948. The demonstration was organized in the remaining part of the cemetery, where banners were raised in Arabic and English condemning the Israeli crimes and violations. 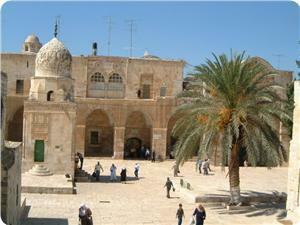 The demonstration was concluded by a press conference, where head of Al-Aqsa Foundation for Endowments and Heritage presented documents and maps revealing Judaization projects targeting the Islamic historical cemetery in occupied Jerusalem, noting that the Israeli municipality seeks to turn the cemetery into a nightclub and a huge Jewish tourist facility. For his part, Dr. Sheikh Sabri, Chairman of the Supreme Islamic Council and preacher at Al-Aqsa Mosque, thanked media for revealing what is happening in Mamanullah cemetery, saying that it is one of the oldest Islamic cemeteries in Palestine, calling on the international community to intervene immediately for the protection of the cemetery. For his part, Sheikh Raed Salah strongly condemned the Israeli crimes and practices against the cemetery, stressing that the occupation will be prosecuted soon for its shameful crimes against the dead. Hajj Mustafa Abu Zahra, Chairman of the Committee for the Care of Islamic Graves, stressed that the cemetery is subjected to multiple violations by the occupation authorities, especially the Jerusalem Municipality and Israeli settlers, stating that the cemetery situation needs Islamic and Arab efforts to save it from the Israeli institutions. 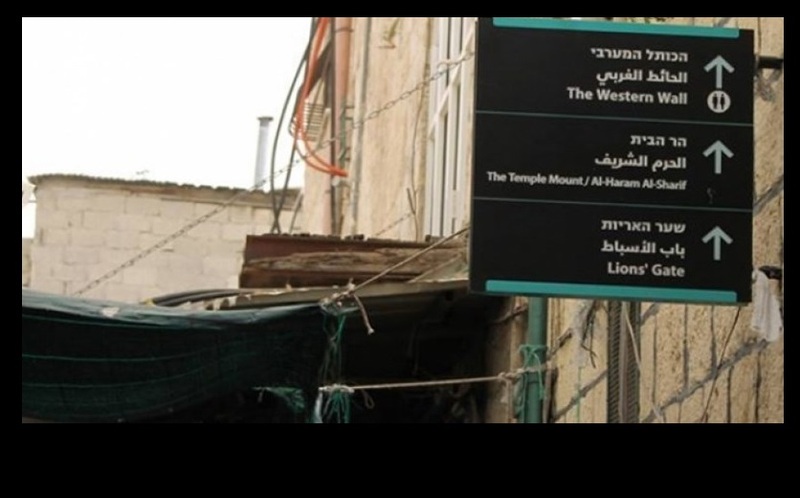 A Jerusalemite Foundation revealed that there are Israeli plans to implement 7 Judaizing projects targeting the historic Islamic cemetery of Ma'manullah, in the occupied city of Jerusalem. Al-Aqsa Foundation for Endowment and Heritage said, during a press conference on Sunday, that the occupation authorities have already seized an area of ​​160 dunums of the cemetery's land and seek to seize the entire cemetery in order to turn it into public commercial and tourist facilities. It pointed out that one of the seven Judaizing projects scheduled to be implemented aims to destroy a pond built in the cemetery, in addition to the establishment of a Jewish museum in the area. Part of the cemetery's land will be allocated for the establishment of car parking, and another part for the establishment of a park for dogs. 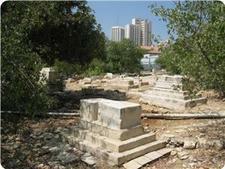 For his part, head of the Restoration of Muslim graves Committee in Jerusalem, Mustafa Abu Zahra, said: "The Israeli institution moved the bones of dead Muslims to unknown places, then stepped up its procedures in the cemetery by establishing parks for dogs and toilets in this place that we consider one of the sanctities. All this falls within the context of the attempts to obliterate Arab and Islamic identity of Jerusalem." Ma'manullah Cemetery is one of the largest and oldest Islamic cemeteries in the Palestinian territories, as it has an area of ​​two hundred dunums. Israeli authorities have seized the cemetery's land then turned the greatest part of it into a public park after demolishing the graves. The tombstones still exist on 25 dunums only of cemetery's land. Al-Aqsa Foundation for Endowments and Heritage stated that it has been putting on Saturday the final touches of the protest demonstration against the continued Israeli violations into Mamanullah cemetery in Jerusalem. The Foundation pointed out that the national and Islamic leaders in Jerusalem, including Sheikh Raed Salah head of the Islamic movement in the Palestinian territories occupied in 1948, have organized on Sunday a demonstration in protest against the Israeli continued escalation in the Islamic cemetery of Mamanullah. A press conference will be held during the demonstration revealing seven new Judaization projects targeting the Islamic historical cemetery in occupied Jerusalem. Al-Aqsa Foundation is going to provide the attendance with documented studies and research. In a related context, head of the committee catering for Islamic graves, Mustafa Abu Zahra, stated that the occupation forces continued to Judaize Mamanullah cemetery which is one of the oldest Islamic cemeteries in Palestine, calling on the Arab and Islamic countries to intervene to protect Islamic cemeteries. The Israeli interior ministry decided to appropriate 45 dunums of land in Shuafat town northeast of occupied Jerusalem to expand a road connecting settlements. The new annexed land will be used to expand road 21 in order to connect the settlements Reches Shuafat and Ramat Shlomo with Ramot settlement. Earlier, the Israeli occupation authority (IOA) had issued a decision to annex 117 dunums of land in Shuafat and Beit Hanina to the east of Jerusalem in order to expand road 21 after Ramat Shlomo settlers requested the expansion of construction in these settlements. Road 21, if expanded, would dismember Shuafat and Beit Hanina districts, isolate parts of these districts from each other and disconnect Shuafat from its "western area," which Israel's settlement activities had already devoured a large part of it as well. For its part, the civic coalition for Palestinian rights in Jerusalem stated on Saturday that the Israeli regime must stop immediately its settlement expansion activities in east Jerusalem, for they clearly violate the international law, especially the fourth Geneva convention. The coalition called on the UN and the European union to shoulder their responsibilities and protect the rights of the Palestinians under occupation in Jerusalem. "The Palestinians living in Jerusalem city must be free to make their own decisions and develop their own zoning and building plans and laws, and they must not abide by the laws, plans and legislations created by the occupation authorities," the coalition underlined. The Israeli occupation authority (IOA) ordered the removal of solar cell panels providing a Palestinian community east of Yatta town in Al-Khalil with electric power. Local sources reported that the occupation civil administration handed on Friday notices to the residents of Umm Al-Kharouba area near Yatta stating that the solar panels they use to generate electricity will be confiscated. The solar energy system in this area was funded by the European Union several years ago and is used to supply 15 Palestinian homes with power. Ratib Al-Jabour, the coordinator of popular and national committees in south of Al-Khalil, said that the notification was also glued on those panels. He charged that the IOA step was meant to harass Bedouins and shepherds in the area and force them to abandon their lands in a prelude to confiscating those lands. Israeli occupation forces prevented on Saturday morning citizens from the town of Ya'bad from entering their lands in the village of Mraiha, southwest Ya'bad, under the pretext of closing the area for military purposes. The mayor of Ya'bad Samer Abu Bakr said in a press statement on Saturday that the occupation authorities have banned the farmer Walid Masoud Abu Bakr from entering his land, which has an area of 10 dunums, in Mraiha village southwest of Ya'bad, and informed him that the Israeli army is carrying out exercises and maneuvers in the area. The mayor pointed out that the occupation troops have been carrying out military exercises in the Mraiha area for the tenth day, and are continuously and intensively targeting the town. The citizen Nasser Abu Bakr told PIC's correspondent that it became clear that the occupation authorities are seeking to confiscate more land in Ya'bad, noting that they have already confiscated 25% of the village's agricultural land. He noted that there are seven settlements built on Ya'abad's lands, and that Mraiha area has been recently subjected to ongoing Israeli attacks. Israeli occupation forces (IOF) took control of a house in Yabad village, south of Jenin, as part of a campaign against houses in the village that escalated recently. Local sources said that IOF soldiers occupied the house of Anajah university lecturer Dr. Amin Massoud in Malul area in Yabad and turned it into military barracks. 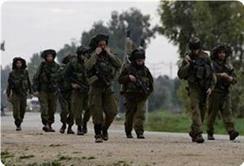 They said that dozens of soldiers stormed the area and sealed it off before taking control of the house. They said that the soldiers claim that they seize those houses to prevent youngsters from throwing stones at occupation forces. Israeli soldiers handed a Palestinian notice to uproot 100 palm trees in his land near the illegal settlement of Argaman built north of Jericho, said the land owner. Hasan al-Jarmi told WAFA that Israeli soldiers inspected the area and hanged a notice to uproot his 100 palm trees. He called on right groups to intervene and stop this arbitrary decision that only aims to pressure the Palestinians of the Jordan Valley. The Israeli occupation authority (IOA) issued on Wednesday a demolition order against a Palestinian residential building in Beit Jala town in Bethlehem at the pretext of its location in area C and its construction without license. The owner Simon Al-Aaraj had started the construction of his building in 2000 after he received verbal approval from the IOA's civil administration in Beit Eil city allowing him to build in a piece of land located within the zoning plan of Beit Jala and accordingly he obtained a construction permit from the municipal council of Beit Jala. As the second intifada broke out at the end of 2000, he stopped the construction, and in 2012 he managed to renew the license papers in order to build more stories. Aaraj's building is located opposite Israel's segregation wall in Beit Jala. According to the second Oslo agreement that were signed between the Palestinian authority (PA) and the Israeli regime in September 1995, Area C, including Beit Jala, is subject to Israel's control and the Palestinians should apply for construction permits with its civil administration. The applied research institute Jerusalem (ARIJ) said that Israel has escalated its violations against the Palestinians and their property as the expected visit of US president Barack Obama is drawing near in an attempt to impose more fait accompli on the ground. 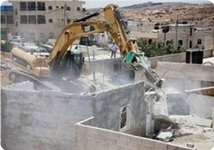 "The Palestinian citizens living in the areas classified as C suffer from the Israeli civil administration's refusal to give them construction permits in order to keep up with the [natural] population growth in these areas, and they remain facing the threat of demolitions at the pretext of unlicensed building," ARIJ stated. I am married to Mahmoud Musa Nu’man Abu ‘Aram, 45, and we have four sons and daughters. One of my sons is married and has a son of his own. He lives near me. I was born in Khirbet al-Majaz and have lived here my whole life. My father and grandfathers lived here too. We live near our land and our sheep, which have always been the source of our livelihood. My husband owns 50 dunams [5 hectares] of land and grows wheat and barley. In addition, we have a flock of about 100 head of sheep. We rely on the winter and its rains. In years with less rainfall, we suffer more because of water shortages and having less pastureland, which affects our animals. When there’s less rain, we must buy water during the summer months. That costs money. In addition, we have no electricity. Some families were given small solar panels that supply electricity, but only enough for providing light for a few hours, not like the villages that got large solar devices. Al-Majaz is one of the larger villages in the greater Yatta area. It’s in an area that the Israelis say is an active firing zone. About 40 families live in the village, and there’s no easy access to it. The military won’t allow us to pave a road to the village, and when we try to, they close the road, claiming that it is used by workers trying to infiltrate Israel. The military considers the area a closed zone. The military won’t let us construct permanent housing of cement, so we are forced to live in shelters and tents that don’t protect us from the winter cold, wind and rain. Last week, the strong winds damaged our tents. We have no school in the village because the military won’t let us build one. So our children have to walk to the school in al-Fakhit, which is about 10 kilometers away. They walk there and back in the cold and in the heat. We have no medical clinic. Once every two weeks, volunteer doctors come to al-Fakhit. Women, myself included, have to get there by foot. If someone is seriously ill, we have to take them by donkey or tractor over a grueling route. In the past, we used camels. Women usually give birth at home, and don’t get to the hospital. I had all my children here in the tent without help from either a midwife or a doctor. Experience and our hard life here have taught us to manage on our own. In 1999, the Israeli military decided to evacuate our and other nearby villages. Military trucks took our bedding from the village to the al-Barakeh area, in Yatta. For 20 days we came to the village at night and hid during the daytime. Since the court made its decision, we’ve been living in relative stability. The military no longer harasses us and hasn’t destroyed any of our structures. But this sense of stability wouldn’t last for long. We heard that the Israeli military plans to evacuate the entire area, including our village, on the pretext that it is a military firing and training zone. This news frightened me. I can’t imagine what will become of us if the military carries out that decision. Where will we go? Where will our children go? They were born and raised here. Where will our grandson go? They have nowhere else to go. Where will my sheep go? What will happen to my land, which is our only source of livelihood? I’d rather die than find myself somewhere else. I hope that the court will help us this time too, and decide to keep us here in our own place. We have the right to live on the land of our fathers and grandfathers. We have the right to live with dignity like everybody else, with minimal means of sustenance. We have the right to clean water and electricity. We have the right to a road that’ll make it easier for us to leave and return to the village, and to get to the hospital. Our children have the right to a school and social organizations. They have the right to a childhood like all other children. Our children are deprived and disadvantaged, and cannot choose another life for themselves. 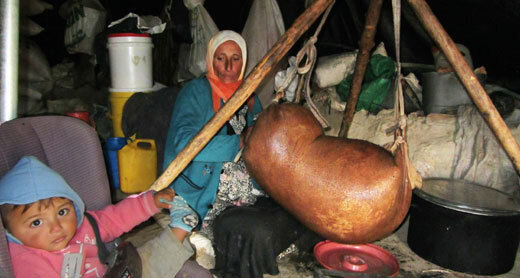 Halimah Mahmoud ‘Issa Abu ‘Aram, 41, married and mother of 4, is a resident of Khirbet al-Majaz in the South Hebron Hills. 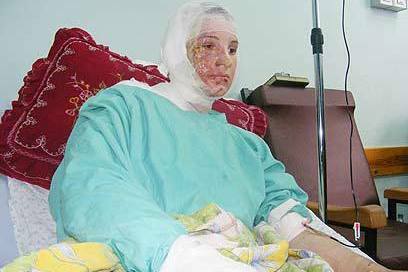 Her Testimony was taken by Musa Abu Hashhash in the witness’s home, on 14 January 2013. Israeli bulldozers razed the homes and tents of Araqib village inhabitants in the Negev, occupied in 1948, on Wednesday for the 48th time. The Islamic movement in the Negev said in a statement that such acts by the Israeli authorities would not deter the Negev inhabitants from persisting in demanding their right to live in their land and to defend it with all means possible. It called on land owners to unite and to remain steadfast regardless of the Israeli authorities’ plans of forcing them to abandon their land under the false slogan of solving the Bedouins’ problems in the Negev. Several armored Israeli military vehicles invaded, on Wednesday morning, an area east of Khan Younis city, in the southern part of the Gaza Strip, and bulldozed farmlands and property. 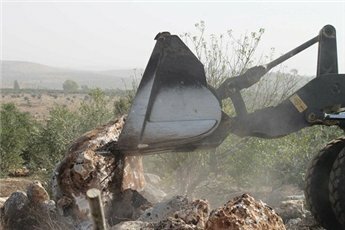 Eyewitnesses told the Maan News Agency that eight Israeli military bulldozers and armored vehicles, stationed at the Kissufim military base, across the border, advanced dozens of meters in Palestinian lands in Al-Faraheen area, in Abasan Al-Kubra east of Khan Younis, bulldozed structures and uprooted farmlands. The army recently carried out numerous limited invasions targeting areas close to the border fence. 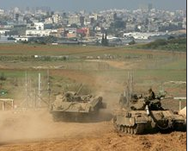 On Monday Morning, March 11, 2013, a number of armored Israeli military vehicles carried out a limited invasion into an area east of Juhr Ed-Deek area, southeast of Gaza city.